Dr. Oz Gives The Skinny On CoolSculpting Fat Freezing. 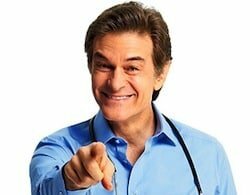 Many people are fans of Dr. Oz and his television show. And that stands to reason. After all, most of us are concerned about our health and are looking for ways to maintain it. The thing is, that isn’t always so easy to do. There are temptations that surround us all of the time. The relatively low cost and easy accessibility of fast food is just one of the many temptations that take us away from healthful practices. So when Dr. Oz reveals solutions for healthy living that seem both easy and effective, it’s hard not to take notice. Not long ago, his television show featured a fantastic procedure that helps people to rid themselves of their bra bulges and love handles. In that show, it is explained that there is a revolutionary procedure that can freeze away such stubborn fat forever. That procedure, of course, is CoolSculpting. So cool is this treatment that it became the highlight of a special segment on ìThe Dr. Oz Showî known as “The Fix”. Why? Well, as the doctor himself explains it, this particular episode was dedicated to helping people to fix their ìbiggest problem areas in no timeî. 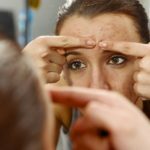 Before even introducing the revolutionary procedure, Dr. Oz notes that it is something that can make people look younger and feel better. He refers to CoolSculpting as a ìlunchtime procedureî. Ironically, this fat-freezing solution helps the body to dispose of fat caused by many a lunchtime! But this isn’t the reason for the moniker. Unlike invasive surgeries such as liposuction, a CoolSculpting treatment can literally take place over the course of your lunch break. Once completed, patients are even able to go right back to work and resume the regular duties of their days. To prove it, Dr. Oz has a patient undergo the procedure live during his show. Very interestingly, the show also a explains that a research paper from the New England Journal of Medicine written 40 years ago was the inspiration for CoolSculpting. It studied children who ate popsicles and concluded that the sucking of the cold treat helped to reduce fat tissue in their cheeks. Exposure to constant cold, it was learned, freezes fat. This discovery became known as Popsical Panniculitis. Dr. Matthew Avram, who joined the show, explained that all these years after that research paper, the concept has been applied to a new procedure that can ìnon-invasively remove fat. No scalpel, no needle, no anesthesias needed. Dr. Avram also comments upon the effectiveness of CoolSculpting. 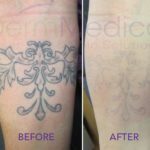 After just one treatment, he reveals that a noticeable reduction of about 22 to 23 per cent is achieved. The procedure, however, is not a solution for obesity and is also not a weight loss device. It’s prime target is stubborn fat. It’s prime objective is body contouring. 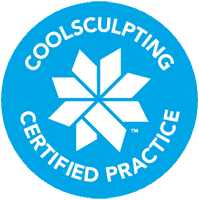 To discover if CoolSculpting is right for you, be sure to contact DermMedica online or call us toll free at 1-866-861-3070 or if you are in Kelowna, 250-868-3070.